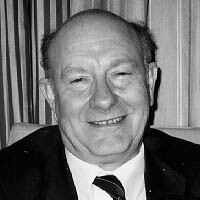 Much of Colin Renfrew's early work was in the field of European prehistory, looking at processes of culture change, and he came to realize that many of the diffusionist ideas current in the fifties and sixties were based on assumptions which undervalued the originality and the creativity of the cultures of prehistoric Europe. Innovations were often seen as originating in the Near East and spreading to Europe by a process of diffusion. But fortunately the radiocarbon revolution confirmed that many European innovations were of earlier date than their supposed Near Eastern prototypes. More recently he looked at comparable assumptions surrounding the question of the Indo-European languages and other aspects of the early cultures of Europe which were often ascribed to the effects of incoming Indo-European tribes supposedly arriving at the beginning of the bronze age. This has led to a wider interest in the prehistory of languages, and the implications which the distribution of language families in the world carry for our understanding of the prehistoric past. RENFREW: Lately I've been interested in the possibility of unifying our separate visions of the human past. When we look at the archeological record, we have some story that emerges from the archeological record about human prehistory. The archeological picture of the past is a very concrete one, and it's very well dated, because of radiocarbon dating, but it doesn't actually say much about language. On the other hand when we look at the pattern of the world's languages, the diversity of the world's languages, we come up with another kind of history. The linguists are looking at language families, like Indo-European, or Afro-Asiatic, or the Bantu languages, or the Austronesian languages. They clearly understand, and it seems very plausible that there is a history to these languages, there is a reality behind these language families, so that the Indo-Europeans had an origin, maybe as a group of people who spoke a proto-Indo-European language, in a particular part of the world at a particular time, and so on for each of the other recognized language families. Thus the linguists build up a kind of history, which in a way implies an archeology. But they're not very good at working out exactly when these people lived in this or that place, these hypothetical people, yet historical linguists do have their picture of the past. The curious thing is there's very little harmony between these two visions. I assume we can make the axiom that there was only one past, though accessible to us in different dimensions; people spoke, people lived. Then there's a third dimension. The third element, which is only just coming into play seriously, is the molecular genetics. As you very well know, you look today at people's mitochondrial DNA, or at other genetic evidence, and you can make inferences about the population history from that present DNA. I'm not talking about ancient DNA, which is another very interesting question, although it hasn't developed so far yet. If you take these present day mitochondrial DNA samples from communities in different parts of the world, by looking at the similarities and differences you can put together a notional history. Of course you know about the work 10 or 15 years ago now about the so-called mitochondrial Eve. That's when you go right back to a point of convergence in these terms among all living individuals and groups, however long ago it is, when you go back to human origins probably in Africa. But I'm more concerned with slightly more recent population histories, like those over the past 20,000 years. So we do have a third independent source of information about human history, namely molecular genetics. The meeting ground between these three dimensions is population history. The interesting thing about these three dimensions of human history - archeological, linguistic, genetic - is that each is autonomous, each is authentic and valid, each gives a picture of the history of the human past, but the three have to be reconciled and brought into coherence. Because there were individual people who had their genes and their languages and their material culture, there is a synthesis that remains to be worked out. It is being worked out, but it turns out to be very difficult to reconcile these three dimensions. JB: Which dimension is producing the interesting work? RENFREW: In a way genetics is the most obvious area of progress. Molecular genetics is making enormous strides. It makes sense to compare different loci both for the nuclear genome, and the mitochondrial genome. I think that work is bowling along very merrily. There' are several controversies, but there deserve to be; there are problems in interpretation, questions about the constancy of mutation rates, especially for mitochondria, etc. That's science that is progressing impressively, and we know that in 5, 10 years time we shall see that much more clearly. In the linguistics field it's a very different situation. I find it very difficult to get through to see it clearly. Most of the well-respected linguists are specialists perhaps in a single language family. If you're an Indo-Europeanist, you know a lot of the Indo-European languages, but you may not know so much about other language families. There are not very many people who like to look at this language family and that other and geographically distant language family to see if they have a similar pattern. One of the people who does like to do that is Joseph Greenberg at Stanford, and he is very much a synthesizer among linguists, but he's also very much criticized by linguists. Aharon Dolgopolsky at the University of Haifais another synthesizer; he is very much a member of that Russian school, the so-called Nostratic School. They take the view that if you look at the major language families, primary language families of Eurasia like Indo-European, and Afro-Asiatic, Uralic and so on, then you can see some relationships between some of those, that make them feel that at a greater time depth there was a broader linguistic grouping, a macro-family, the Nostratic macro family, as they name it, which embraces these families. That takes you, if you believe it, if you accept it, to a greater time depth. It takes you to proto-Nostratic. Only perhaps a 50th of the languages of the world would be described as Nostratic. There's little clear evidence that there was a single ancestral language, though there may have been at a very much earlier point in time. But even this Nostratic business, and Greenberg's enterprise, which is an analogous one, don't perfectly harmonize. But the goal is to look at larger family units, which would therefore be earlier family units. The problem there is that many of the best linguists, certainly many of the most careful linguists, say that you simply can't talk in these terms. Many believe that it's very difficult to go beyond a time depth of four or five thousand years ago. As a non-linguist, my problem is that I can understand what the generalists, the synthesizers are talking about. I read what they're saying, their ideas seem to me interesting. The criticisms made of them seem to me sometimes not very valid- they're expressed as a principle which is that you can't go beyond 5,000 years. But what principle is that? It doesn't make any particular sense at all. It's an extraordinary situation that I can't, really, find any dialogue between these two groups of linguists. We've actually got a grant for my Institute from the Alfred P. Sloan Foundation, to seek to go beyond where we are now, and see what may be possible. We're hoping to make some progress in that. I'm not a linguist myself, but I do see where the archaeology comes in; I think that's my contribution, and I also do see where the genetics comes in, although I'm not a geneticist. As I was saying earlier, the real problem is the interface between these three fields of archeology or culture-history, genetics, and historical linguistics. And nobody's a master of all these fields, so I don't feel too diffident; one's always an amateur if you're going between them. JB: Ten years from now will there be a new synthetic field that will merge these specialties? RENFREW: There might be. I can certainly see how the archaeologists and the geneticists talk the same language. For example, if we're asking whether humankind came out of Africa then it's the genetic evidence that's very powerful there. With the linguists, I really don't know how one gets through this barrier separating the lumpers and splitters, as they're called. The lumpers are those who like to synthesize; the splitters are those who say, oh no, we can't join them together; we know about this, and we know about that, but we don't think that they're linked. And of course they may be right. It's very difficult to see how the lumpers and splitters are going to come into a coherent dialogue. Until a way forward is found to see issues in historical linguistics with a clearer eye, it's going to be difficult. I'm not a linguist, although I read some of these things, so I have my ideas of what makes sense, what doesn't. We probably need one or two bright young linguists, whose linguistic capability, and knowledge of their subject, is undoubted, who can really begin to reconcile some of these differences amongst an older generation. JB: To what extent has computation affected this area of research, in terms of genetics, and linguistics, and archeology? RENFREW: In the field of genetics it certainly has, and indeed it's interesting that most of the difficulties in interpretation rise not from the analytical techniques in the molecular biology, but once you get your measures of similarity and distance, from how you handle that. Some of these have been not so much computational, although computation is important, as interpretational problems. And you probably recall the controversy about 3 or 4 years ago, when the Out of Africa tree, the dendrogram, produced by Stoneking, Cann and Wilson was then criticized as not being the most parsimonious tree. The data are from mitochondrial DNA, so they're molecular genetic data, but the controversy was in data handling, which is a computational problem, as you say, or an interpretational problem. And there it turned out that they didn't have the most parsimonious tree, and their argument actually collapsed rather dramatically, because a whole range of roughly speaking equally parsimonious trees were found, which were open to other interpretations. However, the Out of Africa idea is still sustained, because you come to similar conclusions using other loci and using nuclear DNA as well as mitochondrial DNA..
JB: From your emphasis, I gather you favor Christopher Stringer's Out of Africa theory over the multiregional approach to human evolution of Milford Wolpoff. RENFREW: If you're looking at the Southeast Asia hominids it does look, to the very casual eye, and indeed to the very specialized eye, when Wolpoff and his colleagues get going, that there are some local features that you see in Homo Erectus that seem to be carried through into Homo Sapiens. The choice is a fairly simple one: The idea that Homo Sapiens emerged out of Homo Erectus in Africa is the easiest idea to grasp, because if you're a geneticist, you really don't like these things happening in different places simultaneously. The other idea is the notion of some universal sort of global gene pool in or through which Homo Erectus gradually evolved over a wide area, into Sapiens is a little difficult. The bottom line is that nearly all geneticists now feel that in terms of the genetic evidence, and not just the mitochondrial DNA, that Out of Africa, for Homo Sapiens makes sense. But if you're starting from the skulls, there are some local features in Homo Erectus that seem to be matched later by local features in some of Homo Sapiens hominids, and there's also the matter which I've not seen much discussed, that in the western part of its territory, that is to say Africa and western Asia, Homo Erectus makes hand axes. In southeast Asia there is a pebble tool tradition. The curious thing is that when Homo Sapiens comes into play there, the pebble tool tradition still continues in southeast Asia, although hand axes give way to other things in the West. So although the genetic evidence probably will prove conclusive, and that the Chris Stringer and Paul Mellar's view may well win out, it has to be said that Wolpoff and his colleagues still point to pieces of evidence that do support their case, and are difficult to place in any other framework. JB: As technologies change, will some of these positions be rendered obsolete. RENFREW: One or other will have to give way. I have to say, perhaps because I've got colleagues in Cambridge that very much think along the lines of the Stringer position, that I predict that his approach will prevail. JB: Let's talk a bit about how you got to where you are in terms of your science. RENFREW: I started out at Cambridge doing natural sciences when I was an undergraduate, so I did Part One Natural Sciences, and then I went on to do Part Two Archaeology. I decided halfway through I really wanted to be an archaeologist. So that was straight archaeology; it wasn't the discipline that's emerged more recently, which is sometimes called archaeological science, which means the application of scientific techniques to archaeology. But then I got into a very interesting problem which involved prehistoric trade. There was one commodity, a stone called obsidian, a volcanic glass, which was very widely traded way back in neolithic times. Obsidian is quite widely used in the world, but it's found in very few places. So when you have a good source, the obsidian tends to be traded over hundreds or even thousands of miles from that source. The scientific question was how can you characterize the material from one source as related to another source. If you find a piece of obsidian dated at 8,000 BC at Jericho, and you're a thousand miles away from a source, can you really say where this piece of obsidian came from? We found a way to do this by using trace element analysis. We originally used optical emission spectroscopy, but more recently neutron activation has been used. This was one of the first successful characterization studies that allowed the reconstruction of trading patterns. JB: To what end was this currency used? RENFREW: It wasn't currency; it was supply, really. They had a need for the raw material for making lithic artifacts, and this was the best material, so it was very widely traded, exchanged, or transported. But your question is a very sound one - sometimes it's the indicator of contacts that are taking place of which you'd not otherwise have knowledge. If you get a quantitative analysis you do falloff maps and so on, you can get a measure of interaction, and the obsidian may not have been the sole motivation for that interaction, but it's something accompanying it. I began to talk of trade as action at a distance, and began to get a measure of the extent to which communities were interacting. This is just a rather abstruse, but very concrete, measure of that interaction. JB: What pictures could you draw from that? RENFREW: It shows, for instance, that at the beginning of the Neolithic period, the beginning of farming in the Near East, just about everywhere was in contact with everywhere else. There is no early farming village in the Near East that doesn't get obsidian, even though the obsidian sources are hundreds of kilometers to the north. Obsidian from Melos, which is an island in the Aegean, is found way back before farming, 10, 12, 13 thousand years ago, so this meant that the Paleolithic hunter-gatherers must have been traveling in boats. Similar evidence for early seafaring has now been found in the Pacific, and it gives an indication that people were much more efficient at seafaring than had been imagined. Then I got interested in radiocarbon dating and its interpretation. I've never made any scientific contributions to that area in the sense of technical contributions, but because I was interested, and I had some sort of broad grasp of the impact of tree ring dating upon the radiocarbon chronology, I saw very clearly how the tree ring calibration was right and how the objections made by European archaeologists had been founded on some doubtful assumptions. They argued that this couldn't be right because it's not what we already know. I saw very clearly how their arguments were flawed, and was able to clarify some things. Otherwise my contributions are based just on taking an interest. For example, in terms of molecular genetics, there aren't many archaeologists very interested in molecular genetics in relation to the languages. It helps not to be intimidated by the undoubted complexities of the scientific methods. Ultimately many of the problems, as we were saying a moment ago, are problems of interpretation. You were rightly saying that in molecular genetics, the difficulties are not really so much, or not so often, in the molecular genetics itself, but in the interpretation of the data. And there sometimes a different viewpoint is a helpful one, I think. JB: It seems that archeology today requires erudition in many very specialized disciplines. RENFREW: It's a wonderful opportunity. I'm sure it's easier to be ignorant in many disciplines than to be well-informed. But it really is quite a valid license to range very widely, as you really have to. I've just been looking again at a subject I'm not a specialist in : the origins of Homo Sapiens, and discussions about the origins of mind and the origins of consciousness along with the origins of languages and these related issues. I find myself getting more and more skeptical about the approaches being followed. A lot of people, such as Richard Dawkins, feel that Darwin offers us the answer. This includes a group of evolutionary psychologists who again are using an explicitly Darwinian framework. Now I'd say nothing against Darwin, I'm not going to commit any great heresies here, and I'm not denying in any way that one needs to work within the broad evolutionary framework established by Darwin. I just question whether what we're being told in this Darwinian framework is telling us anything much that we didn't already know, at any rate in recent years. Are we getting much further by saying that humankind had many millennia as a hunter-gatherer and that's where the adaptive influences were brought to bear, so modern behavior is to be interpreted today as a sort of adaptive behavior of hunter-gatherers? That's more or less the evolutionary psychology position, in fact rather crudely paraphrased. Where does Richard Dawkins talking about memes lead us? It's a very interesting idea, as you know you have the genes that determine the physical composition, and maybe there are conceptual units of similar kind ('memes' : effectively units of cultural information), but I just have the feeling that this is all a big metaphor, and it just may not lead anywhere. I'm not denying that you can develop such an approach; I'm just wondering if it's the appropriate approach. I'll tell you another questionable thing that's happening: there's a sort of dogma now that there was the great human behavioural revolution which started in Africa a hundred thousand years ago, you see it very clearly in Europe 40,000 years ago, and it's assumed that the emergence of our own species, Homo Sapiens is to be associated with it and equated with the emergence of full linguistic abilities, and with a different kind of behavior and so on. It's a very reasonable assumption, and harmonizes with the fact that Homo Sapiens today in all parts of the world probably shows comparable aptitudes. And yet really the evidence for it is very limited. In particular, what I've really been thinking about recently, is that the archaeologists tend to say, look, you've got the middle Paleolithic, the Mousterian, associated with Neanderthal man, and then you've got the big transition. In comes the upper Paleolithic, and we have new Aurignacian lithic industries and so on which are characteristically associated with the remains of Homo Sapiens. But I've never really been very much involved with these lithic industries, and as an archeologist who's not very specialized, I can't say that the lithic industries of the Aurignacian sweep me off my feet, compared with the those earlier Mousterian industries. If somebody hadn't pointed this out to me, I wouldn't have said that this is clearly the product of a different grade of hominid, that clearly the brilliant Homo Sapiens is making those Aurignacian industries, while the earlier ones are evidently the product of that Neanderthal man. JB: What do you mean by "industries?" RENFREW: I'm talking about the tools; the tool kits. I'm talking about the actual tools that were made. I think they're overshadowed, really, by these wonderful cave paintings - the French and Spanish cave paintings. They are just amazing, and of course they do tell us a lot about the mental abilities of the people that made them, or they could tell us a lot about them. But they are very restricted in their distribution. They may not be characteristic in general terms of early Homo Sapiens. You find them in France and Spain and a little bit further east. And although it's pointed out that hunter-gatherers the world over have different styles of rock art, which is true, these wonderful cave are in limestone caves deep into the ground, and have a remarkably vivid style of their own. Most of the world's rock art isn't quite like that. And most of it isn't as early as the upper Paleolithic anyway. So I think we're being sold a rather formulaic vision here of this great transition, which allegedly accompanies the appearance of the new species Homo Sapiens. I'm not hostile to it, I just think it's a doctrine that's come to be accepted, which doesn't carry much conviction. JB: As you say, it's an opera. In retrospect, anyway. RENFREW: It's a belief; this is how we choose to look at it. I rather wonder if we shouldn't be using much more concrete measures. A lot of the exciting things happened much later. If you were a being from outer space, and you saw these Homo Sapiens hunter-gatherers of 30,000 years ago and compared them with the pre-Sapiens hunter-gatherers of 50,000 or 100,000 years ago, they might or might not be very different physically. But you wouldn't say, wow, this is the clever bunch, this Homo Sapiens group, or I don't think you would, unless you studied them very closely. If you were an animal behaviorist you might say that they show certain capabilities in their hunting. But there would not be much to show for their new capabilities - no pyramids, no temples. That came much later. I'm just making a very simple point, a very obvious point, but it's a point you don't hear much. I share the admiration for Darwin for what he established - the Origin of Species, the outlines of the Descent of Man. Those are colossal undertakings, and of course it's wonderful that molecular biology is able to use the Darwinian framework too. But when it comes to human culture, I don't think that the Darwinian perspective has given us many insights yet, that's all I'm saying. RENFREW: I want to do some more work on the language issues we're speaking of. I've got to find some linguists who will grapple with them further. It won't tell us the answers to the questions we were speaking of a moment ago, about the emergence of consciousness and so on, but it will give us a background to understand how human diversity came about, to match up the linguistic, the genetic and the cultural history, and that is a big preliminary work. Secondly I'd like to go on and do a little more on the matters we've been talking about. I think the ultra-Darwinians are sometimes working very hard to find new themes to cast into a Darwinian framework. Some of them look very good, but some of them distort the world and turn it inside out. There has to be a way of obtaining more satisfying insights into the processes of cultural evolution than those which the Darwinists themselves have so far been able to come up with.